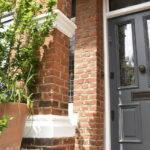 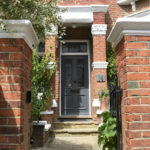 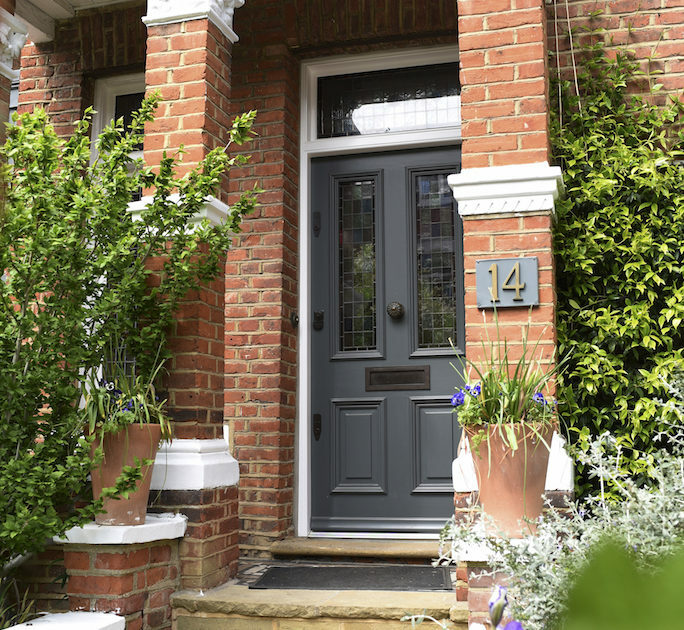 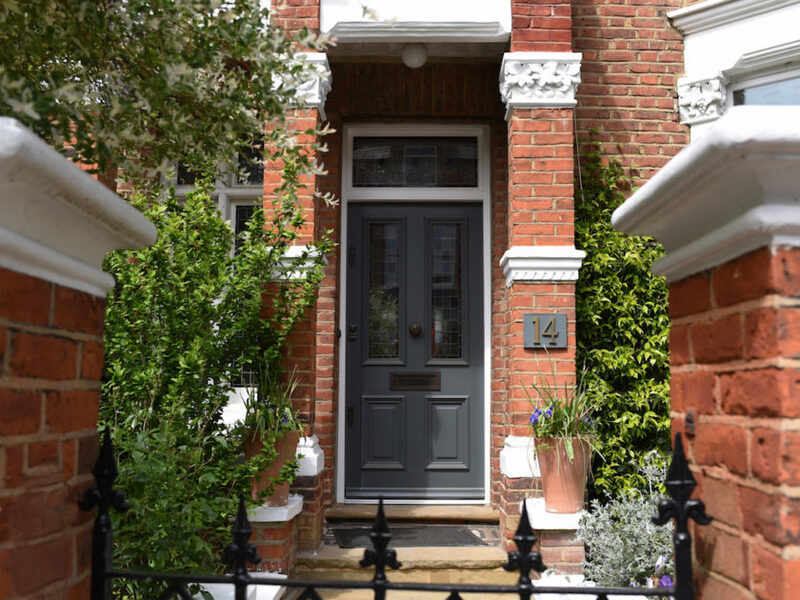 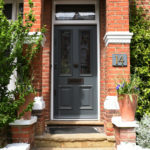 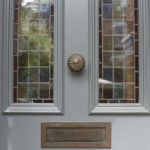 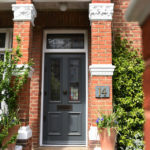 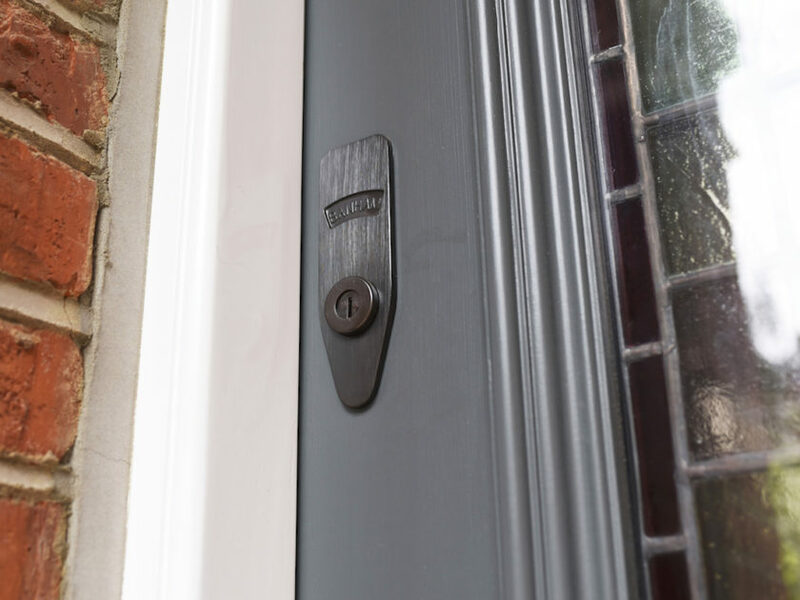 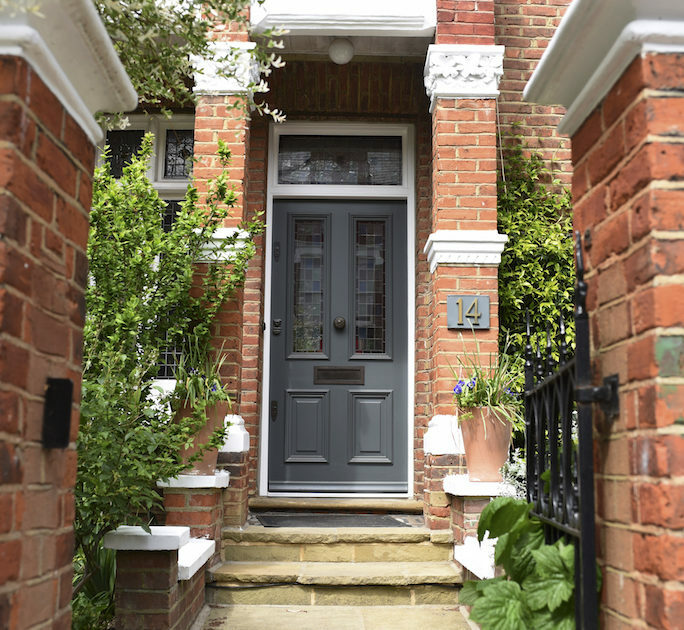 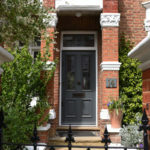 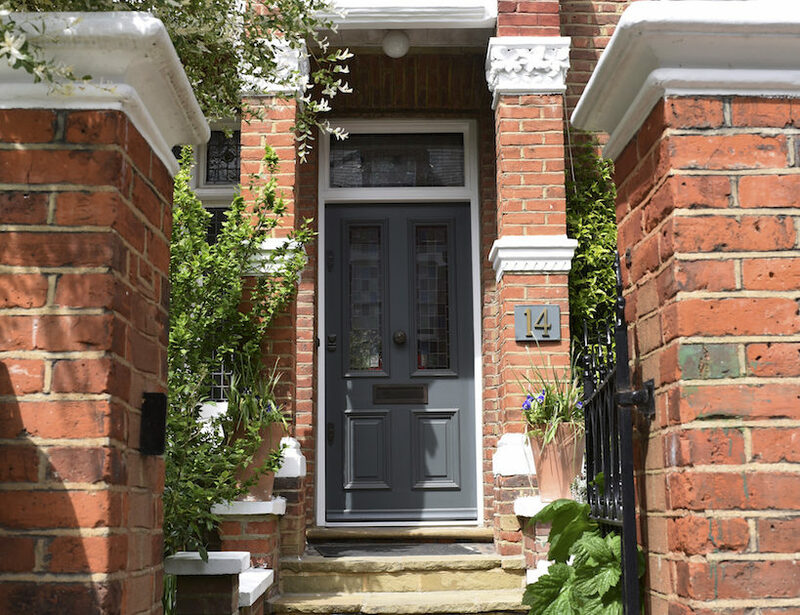 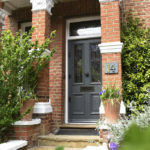 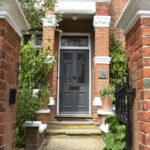 A beautiful Hampstead property, now benefits of a new bespoke Entry Door equipped with 3 Banham, highest security locks. 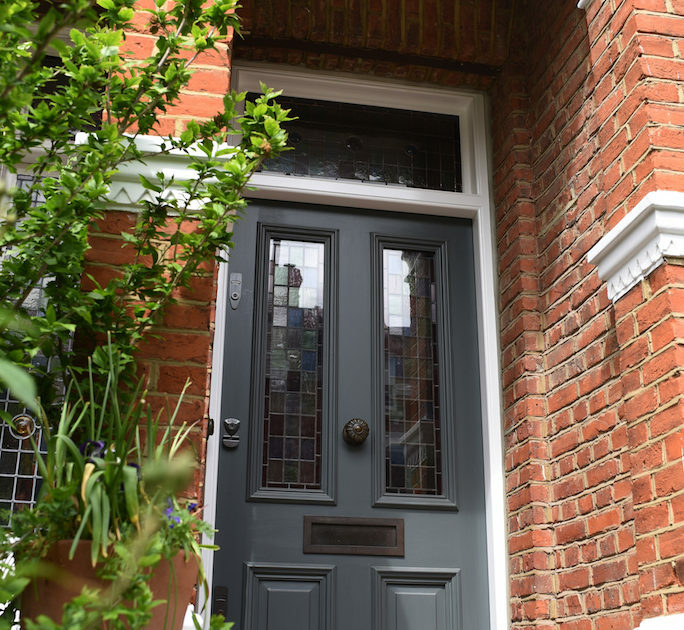 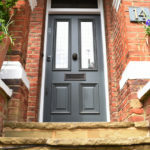 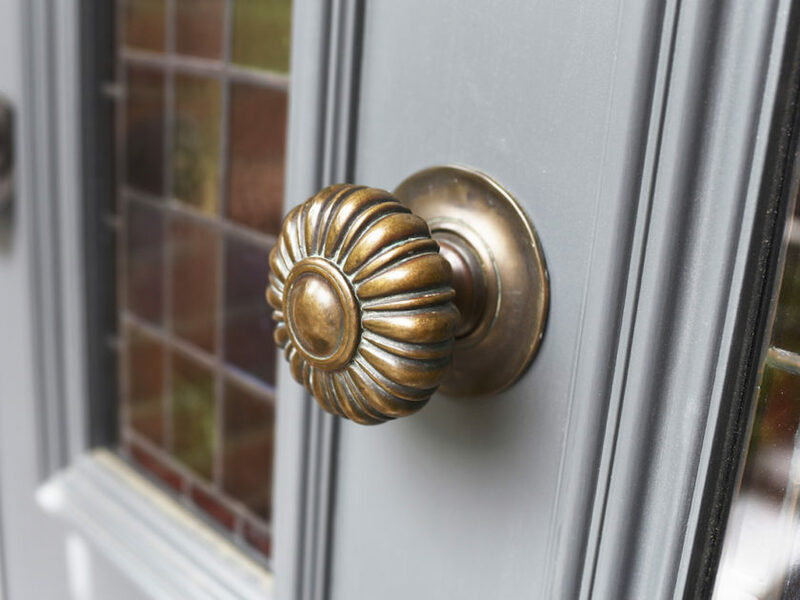 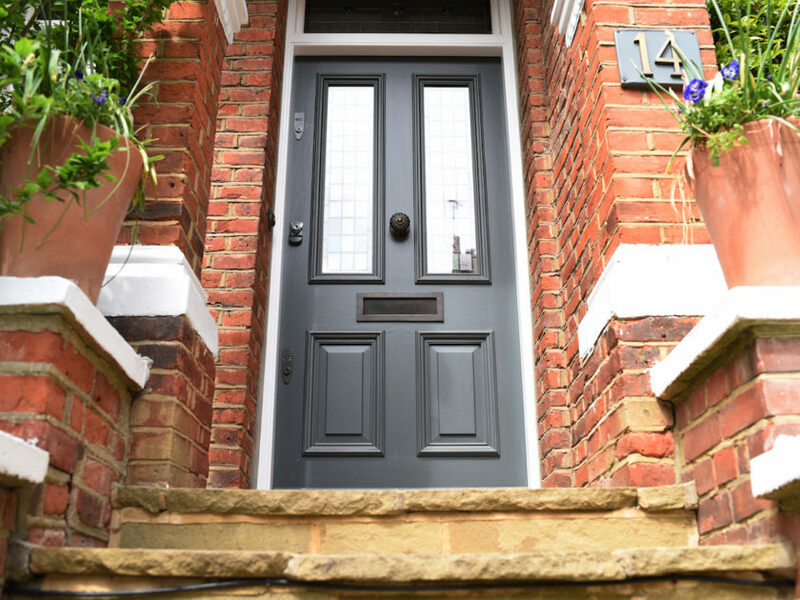 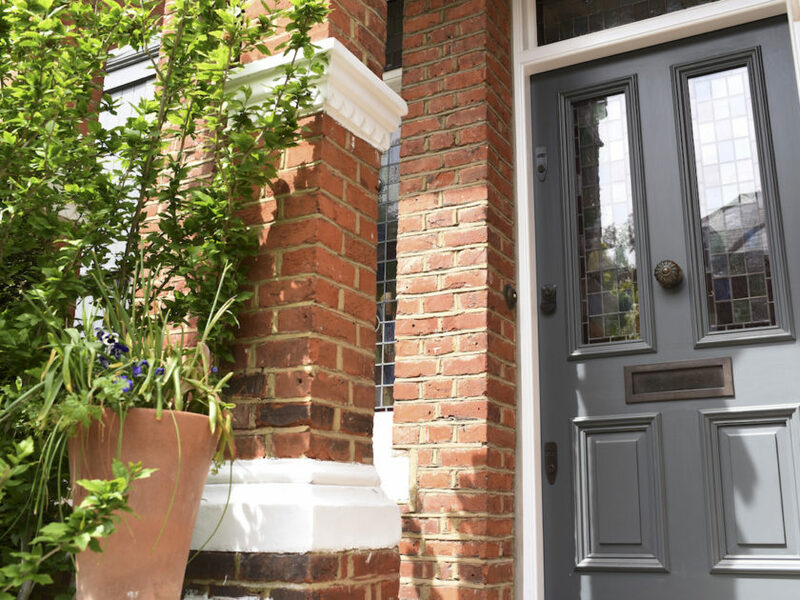 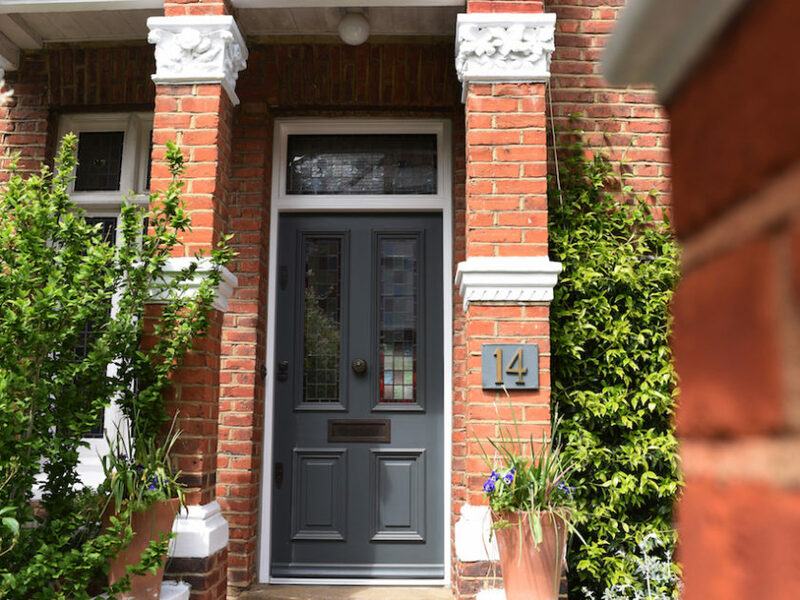 The new door had to replicate to perfection the previous door paneling, architraves and furthermore the client wanted to keep the original glass features. 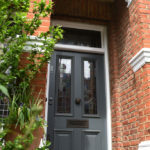 We have removed the original glass and inserted laminated glass panels instead. 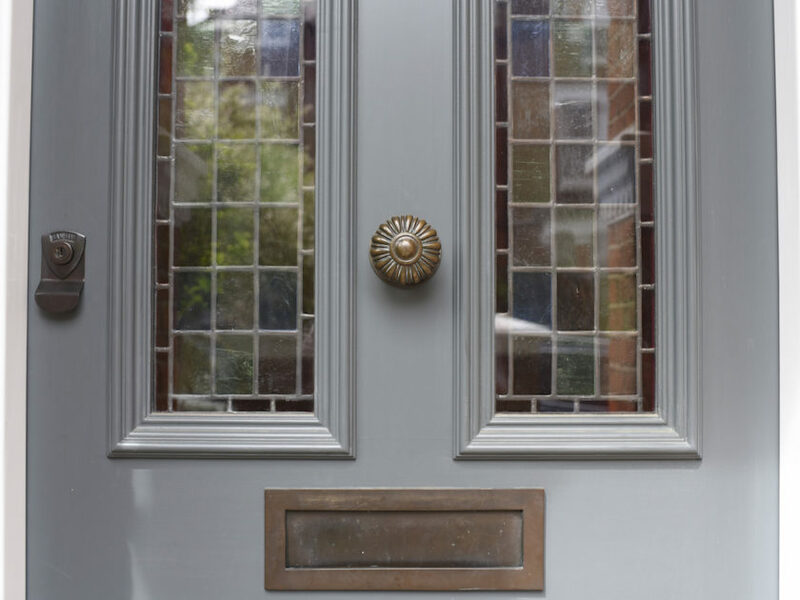 Meanwhile we had the glass restored, retained and integrated into the new double glazed glass, turning it therefore into a triple glazed unit. 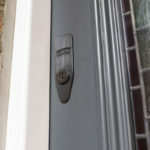 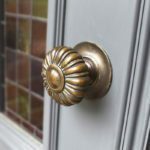 The door also had a Fixed light, same original glass had to be restored and integrated into the new unit. 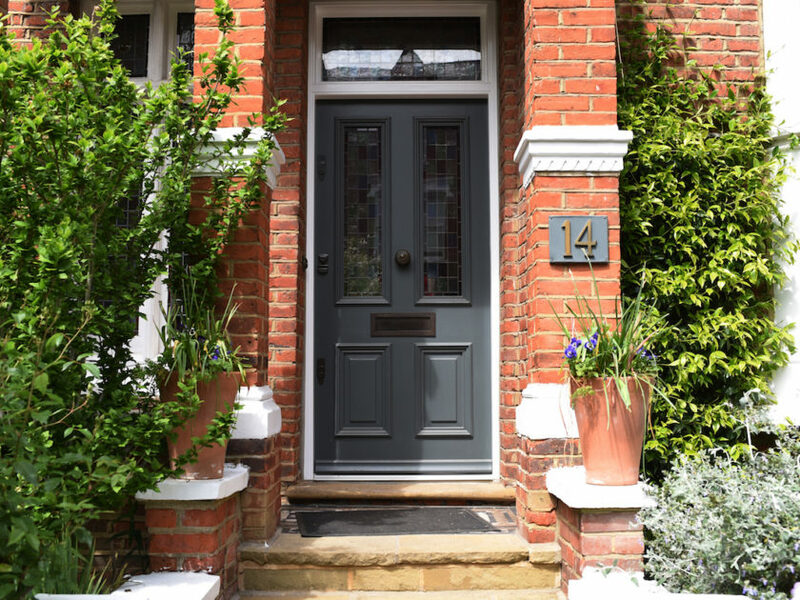 To complement the beautiful style, we used Farrow and Ball Downpipe 26 paint externally and Papers and Paint SC292 internally.